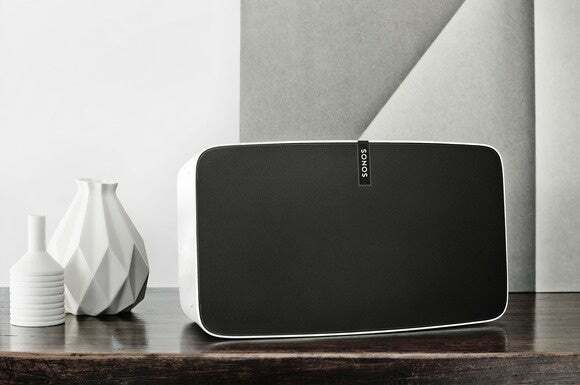 Amazon Prime subscribers can now pipe the online retailer's music streaming service via Sonos home speakers. Sonos recently added a beta version of Amazon’s Prime Music to its roster of available music streaming services. Announced late Tuesday, the Prime Music integration for Sonos comes with all the bells and whistles that streaming service offers, including the on-demand music catalog, Internet radio service, and curated playlists. To use Prime Music on Sonos you’ll need to be an Amazon Prime subscriber or sign up for the Prime 30-day free trial. Once that’s done, just select Prime Music from Sonos’ menu, sign in with your Amazon account, and you’re ready to listen. The addition of Prime Music means almost all the major music services are now available on Sonos’ home music system. The final holdout is Apple Music, which is expected to join Google Play Music, Groove, Pandora, Rhapsody, and Spotify on the Sonos integration list before 2015 is out. Amazon’s addition to the Sonos roster comes after the online retailer secured streaming rights to Universal Music Group artists in late September. UMG is home to many popular artists, including Arianna Grande, Katy Perry, and Maroon 5. Why this matters: Prime Music on Sonos also shows that Amazon is open to working with competitors—at least sometimes—since Amazon produces its own home speaker called the Echo. Playing nice with others is an especially important visual after the online retailer’s recent, and controversial, decision to ban the Apple TV and Chromecast from its retail catalog. Amazon’s explanation for the snub is that neither gadget supports Amazon’s Prime video streaming service.